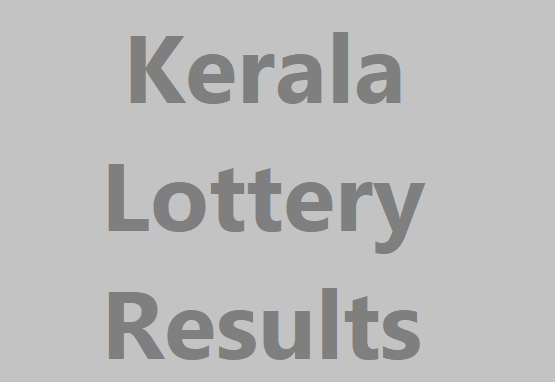 Kerala Lottery Results: -Kerala State Lotteries was incepted in 1967 by the Government of Kerala and runs by the name Lottery Department of Government of Kerala. This unique department came into existence after the Government of Kerala banned all the private lotteries. P.K. Kunju Sahib, Finance Minister of Kerala back then, pitched this unique idea to Government of Kerala. Lottery Department was started with the aim to create employments for people and also a base government finances while not disturbing the public for funds. The Department became a hit among the mass and many other states in India got inspired to do something similar. Consequently, other nearby states also followed the league. Located at Vikas Bhavan in Thiruvananthapuram, this Lottery division employs a humongous number of 465 people. There are a total of 14 District Offices and a Regional Deputy Directorate at Ernakulam. All of these lotteries take place on a daily basis and the crowd of Kerala is mad about these lotteries. They all hope that one day might be their day and it has also happened many times as well. Also, the consolation prizes and runner up prizes are sometimes a big fortune for poor people. Everybody dreams about hitting the jackpot and the Government is making good revenue out of lotteries. The best thing about lotteries being run by Government is that they are extremely transparent and the dawn of Electric Machine Based Draw system has aided the transparency manifold. Many of you may think that lotteries should be banned but the government knew that banning lottery is like banning alcohol, if these things are banned then they may run into the darkness and many officers will be making black money. Thus, the government took this step and it seems like it is quite profitable as well. There is a popular story about a ticket seller who sold five tickets on phone and the owner says that he will collect them later. On the day of result, one of those 5 tickets won a jackpot of 65 Lakh INR. The ticket seller with all his honesty gave the money to its owner without even getting greedy for the money. People in Kerala are so addicted to lotteries and quick cash schemes because people here are developing a reluctance to labor. They are becoming lazy and everyone nobody wants to do physical labor. People want White Collar Jobs even when the wage is significantly low in comparison to labor jobs, the result is non-availability of White Collar Jobs. Let’s come to the problem of winners. There was a 22 years old boy who won the first prize; he opted to stay in the jail whole night until he received the money from Department of Lottery. The winners are so scared about their lives and their relatives asking for a share in the prize. Simply, Life does not get better only with money. The family becomes foes and your life is always in danger. But yes, the smaller amount won by people is a boon for them. A man who won one lakh Indian rupees got his house renovated and the amount of prize was 10 times his own salary. Overall, Keralites had always looked for Quick cash and these lottery schemes are the most legal and transparent way for it. After all, Lottery is a type of gamble and promotion of lotteries by the government itself inculcates laziness and lack of will to work in its citizens. As a consequence, the development of Kerala is also halted to an extent. These are released weekly and winning chances are higher in these lotteries while the prize for the 1st winner is lesser than that in Bumper lotteries. The week gets its head start with the release of Win-Win Lottery results on Monday. 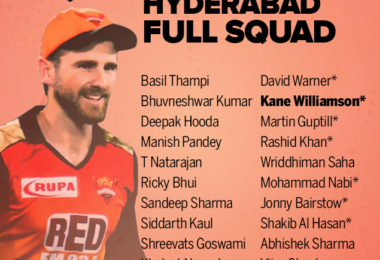 Thirty Indian Rupees is all you need to pay for its ticket and the prize money for the 1st position is sixty-five lakhs Indian Rupees, which in front of the price of the ticket is pretty astronomical. That is why it is the most popular lottery among the crowd. One more interesting thing about this lottery is this that it is the oldest lottery of all the currently running lotteries. The lottery results are available on Monday every week. 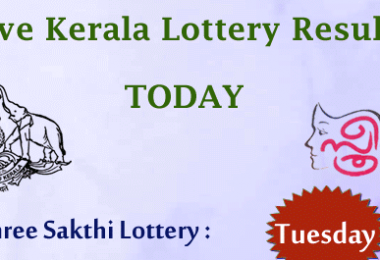 Sthree Shakthi Lottery is another weekly lottery conducted by the Department of Lottery in Kerala. The results are announced on Tuesdays. The lottery holds credibility and trust among the people of the state. The lottery ticket is fifty Indian rupees with a prize money of one Crore rupees (10,000,000) there are also various consolation prizes and prizes for runner-ups. Akshaya Lottery result is drawn on Wednesday of every week and this lottery is also run under the Ministry of Taxes of Government lotteries. The cost of the lottery is 30 INR and the first prize is of 65 lakhs INR for the first prize. This weekly lottery is popular and trustworthy as well. The results are updated every week and the official results are told at 3:30 pm on the day of results. The renowned Karunya Plus lottery Result is announced every Thursday. Karunya Plus is the new name for the earlier called Pratheksha lottery. The cost of this ticket is 50 INR and the prize is humongous. First Prize: 10,000,000 INR, Second Prize: 1,500,000 INR, Third Prize: 100,000 INR, Fourth Prize: 10,000 INR, Fifth Prize: 5,000 INR, Sixth Prize: 1,000 INR, Seventh Prize: 500 INR, Eighth Prize: 100 INR and Consolation Prize is 10,000 INR. The prize structure is the official structure written on the ticket. The Nirmal lottery is rather a newer one in respect to other lotteries, it’s another variant is Nirmal Bhagyanidhi. Friday is the day for the result of this lottery. The cost of this ticket is 30 INR and the details for prizes are here. First Prize: 70,00,000 INR, Second Prize is 5,00,000 INR, Third Prize is 1,00,000 INR, Fourth Prize is 10,000 INR, Fifth Prize is 5,000 INR, Sixth Prize is 1,000 INR, Seventh Prize is 500 INR, Eighth Prize is 100 INR and Consolation Prizes worth 10,000 INR. The number of prizes available for different position varies with the amount of prize. Saturday is the day reserved for Karunya KR Lottery results. One special thing about Karunya lottery is that the funds raised from Karunya lottery are used for medical services for the poor and for those patients suffering from chronic diseases like Cancer. There is a Karunya Benevolent fund organization from where the people can redeem the benefits of these services. The cost of buying a ticket is 50 INR and the prize structure is given below. First Prize is 1 crore rupees, Second Prize is of 10 lakh rupees, Third prize is 1 lakh rupees, Fourth Prize is 10 thousand rupees, Fifth Prize is 5 thousand rupees, Sixth Prize is 1 thousand rupees, Seventh Prize is 5 hundred rupees, Eighth Prize is hundred rupees, and there are consolation prizes of 10 thousand rupees. Altogether it’s a prestigious lottery as it also serves a noble cause. The End of the week is the release date for Pournami Lottery. The ticket comes with a paltry amount of 30 rupees and just like Win-Win lottery and Nirmal Lottery it also attracts a large number of people. The detailed prize structure is given below and also at the back of the ticket. First Prize is 6,500,000 INR, Second Prize is 500,000 INR, Third Prize is of 10,000 INR, Fourth Prize is of 5,000 INR, Fifth Prize is for 2,000 INR, Sixth Prize is for 1,000 INR, Seventh Prize is of 500 INR, Eighth Prize is for 100 INR, and consolation prizes worth rupees 10,000. Bumper Lotteries take place six times in a year. These are special occasion lotteries with the biggest amount for the prize winner. The occasions are Onam, Summer, Monsoon, Vishu, Christmas New Year, and Pooja. The amount given in these prizes is bigger than Weekly lotteries and thus they are called Bumper lotteries: Best for making exponential money. 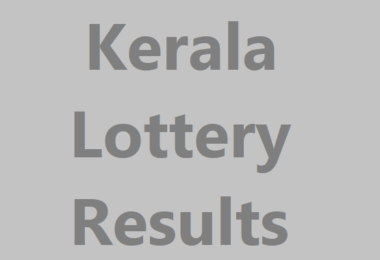 Pooja Bumper Lottery Results:- What a prestigious occasion is Durga Pooja for Keralites! One of the most pristine festivals that Kerala cherishes, that’s why there is a Bumper Lottery that takes place in November every year. The prize is humongous and the time is auspicious, many people take part thinking that Maa will bless them with fortune. The cost of a ticket is 100 rupees which are quite more in front of the weekly lotteries but the first prize is of 4,00,00,000 Indian rupees. Those looking to make a big fortune can surely try their luck in this lottery. Last year Lottery Draw BR-52 (Pooja Bumper Lottery 2016) was announced on 23 November 2016. The prize structure is given as below. The Consolation Prize is one lakh (100,000) Indian Rupees which is given to 4 persons. 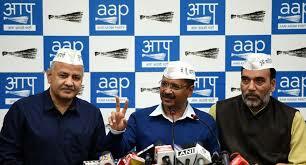 The Second Prize is of fifty lakhs (5,000,000) Indian Rupees given to 5 persons. The Third Prize is of five lakhs (500,000) Indian Rupees given to 10 persons. Fourth Prize is one lakh (100,000) Indian Rupees given to a large number of persons by the help of last numbers of the tickets. Fifth Prize is of ten thousand (10,000) Indian Rupees also for a really large number of persons. Sixth Prize is of five thousand (5,000) Indian Rupees to a large number of persons. Seventh Prize is one thousand (1,000) Indian Rupees to an even larger number of persons. Eighth Prize is of five hundred rupees. Even if you don’t hit the big number, other prizes are worth competing for and your chances are also high. Christmas and New Year have recently taken place in our festivals. That is why Kerala’s Lottery Department has decided a bumper lottery on the occasion of New Year and Christmas. The result of this lottery is announced in the month of January. This year the draw number was BR-53 and the result was announced on 20 January 2017 at Sree Chithra Home Auditorium, Pazhavangadi, East Fort, Thiruvananthapuram. The cost of a lottery ticket is 100 INR. Here is the prize structure of the lottery. Note: the Here onwards prize is given to people who have the ticket ending as announced by Lottery. As you can see the number of a lottery winner is quite high. The summer in Kerala is enjoyable due to the presence of the Western Ghats avoiding the dry air and Arab sea bringing in the cool breeze. There is this lottery that is announced in the month of March every year called Summer Bumper Lottery by the Department of Lottery run by Government of Kerala. Last time the draw code of Summer Bumper Lottery was BR-54 and it was released on 17 March 2017. The cost of the ticket is 100 INR only and the prize structure is a shown below. Four Crore Indian Rupees (40,000,000) is the First Prize and is given to only one lucky person. Ten Lakh Indian Rupees (1,000,000) is the Second Prize and is awarded to six persons. Five Lakh Indian Rupees (500,000) is the Third Prize and is awarded to twelve persons. The Fourth Prize is One Lakh Indian Rupees (100,000) for up to fifty-four persons. Fifth Prize is Ten Thousand Indian Rupees (10,000) for up to 1,620 persons. Sixth Prize is Five Thousand Indian Rupees (5,000) for up to 8,640 persons. Seventh Prize is One Thousand Indian Rupees (1,000) for up to 21,600 persons. Eighth Prize is Five Hundred Indian Rupees (500) for up to 27,000 persons. Ninth Prize is One Hundred Indian Rupees (100) for up to 44,280 persons. You can see that the total amount distributed is astronomical. Monsoon in Kerala brings the best vibes along with the serenading breezes to soothe one’s soul. Hence the Government of Kerala’s Lottery Department brings in the Monsoon Bumper Lottery to pepper the impact of rain with a drool-worthy amount. For just a ticket of 100 INR, you stand a chance to get lucky and win 3 Crore Indian Rupees. This lottery is announced in the month of July. This year the draw number was BR 56 and it was announced on 19 July 2017. The complete prize structure is mentioned below. First Prize is of 30,000,000 INR for only 1 lucky person. Consolation Prizes for 4 persons worth 100,000 INR. Second Prize is of 1,000,000 INR for 6 persons. Third Prize is of 500,000 INR for 12 persons. Fourth Prize is of 100,000 INR for up to 1,620 persons. Fifth Prize is of 10,000 INR for up to 8,640 persons. Sixth Prize is of 5,000 INR. Seventh Prize is of 1,000 INR. Eighth Prize is of 500 INR. Ninth Prize is if 200 INR. Suvarna Jubilee Thiruvonam Bumper Lottery:- Onam is a pristine occasion for everyone in Southern India and Thiruvonam Bumper Lottery is the most massive Bumper Lottery among all other Bumper Lotteries. The Prize money for this lottery was 8 Crores INR but since it is the 50th year of the lottery the prize is 10 Crore INR for the First Prize. This makes Thiruvonam the most valuable lottery of Kerala. The cost of the ticket is 250 INR. The lottery is announced in the month of September and this year the draw number is BR 57. The lottery will be announced on 20 September 2017. The total amount to be disbursed INR 638,100,000 to a total number of 298,950 persons. This year’s Thiruvonam Bumper Lottery is the record highest of all the lotteries that have taken place in the tenure of 50 years since the inception of Lottery Department. Everyone is keeping their eyes on the jackpot. The result will be announced at Sree Chithira Auditorium, Pazhavangadi, East Fort, Thiruvananthapuram, Kerala. Let us look at the prize structure below. First Prize is 10 Crore Indian Rupees (100,000,000) for only one person. Second Prize is 50 Lakhs Indian Rupees (5,000,000) for ten persons. Third Prize is 10 Lakhs Indian Rupees (1,000,000) for twenty persons. Fourth Prize is 5 Lakhs Indian Rupees (500,000) for twenty persons. Fifth Prize is 1 Lakh Indian Rupees (100,000) for up to ninety persons. Sixth Prize is 5 Thousand Indian Rupees (5,000) for up to twenty-seven thousand persons. Seventh Prize is 3 Thousand Indian Rupees (3,000) for up to thirty-six thousand persons. Eighth Prize is 2 Thousand Indian Rupees (2,000) for up to thirty-seven eight hundred persons. Ninth Prize is 1 Thousand Indian Rupees (1,000) for up to fifty-four thousand persons. Tenth Prize is 5 Hundred Indian Rupees (500) for up to one lakh forty-four thousand persons. Consolation Prize worth 5 Lakh Indian Rupees (500,000) for up to nine persons. Let’s see how this one rolls out. After all, it is going to be the most prestigious lottery in the history of Kerala lotteries. 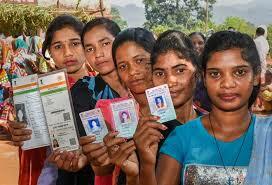 Kerala Lotteries Results have become an integral part of the lives of the people. The number of employments created by lotteries is massive and provides living in many households. But yes it has diminished the number of White Collar jobs, and the lifestyle of people has not changed much. The department reports show that they have generated a revenue of 5,000 Crore and soon they are aiming to hit 10,000 Crore in the upcoming years. So many lives have been made and so many destroyed as well, as, after all, it develops greed. We hope that Kerala lotteries serve a boon for everyone.